The Community Planning Collaborative (CPC) is a body made up of faculty, students, and staff that meets regularly to identify and discuss central areas of concern and opportunity for the Cooper Union as the institution develops its next strategic plan. The group was initially convened via open calls in both in the Spring and Fall of 2017, and it continues to maintain an open door policy for all members of the Cooper community to attend its meetings and participate. The current charge of the CPC is to formulate and deliver recommendations toward the school’s ongoing strategic planning process, with a focus, above all, on the student experience, the ways in which we support faculty and staff, and the many ways in which we define and are committed to free education. 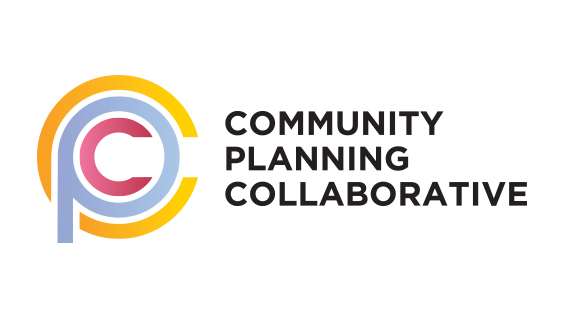 The Community Planning Collaborative is co-chaired by Kit Nicholls, Director of the Center for Writing and Lucy Raven, Assistant Professor, the School of Art. Members include Katie Blumenkrantz, Assistant Librarian (Cooper Archives); Tal Bogomolny, A’20; Chris Curro, Adjunct Professor, Engineering; Cara Di Edwardo, Adjunct Professor, Art and Director of Typography Programs; Alfred Dudley III, A’18; Jennifer Durst, Deputy Director of Alumni Affairs and Development; Josiah Ellis, A’15; Charlotte Egerton, Communications Specialist; Sara Foley, Associate Director of Operations / Technical Design Specialist; Ariana Freitag, EE’20; Ben Greenberg, ME’17; Adrienne Greth, Assistant Dean, Admissions; Atina Grossman, Professor, HSS; Mauricio Higuera, Administrative Assistant for Public Programs and New Projects, School of Architecture; Steven Hillyer, Director, The Irwin S. Chanin School of Architecture Archive; Sam Keene, Associate Professor, Electrical Engineering; Grace Kendall, Title IX Coordinator and Director, Student Diversity and Inclusion; Michelle Lorduy; Sanjeev Menon, CE’20; Vishesh Padnani, CE’17; David Robbins, Assistant Dean of Student Affairs; Sophie Schneider, ME’20; Amanda Simson, Assistant Professor, Chemical Engineering; Anushree Sreedhar, CE’18; Keith Stokeld, Controller; Antoinette Torres, Director, Strategic Initiatives and Institutional Effectiveness; Christien Vargas; Any Westpfhal, Coordinator of Recruitment & Admissions and Adjunct Instructor, Art; Charlie Xu, Senior Director of Student Financial Services, Director of Financial Aid; and Tamar Zinguer, Associate Professor, Architecture. Through smaller working groups, CPC members are focusing on six key areas: Multi-Trans-Disciplinary Opportunities; Free Education – Non-Financial Considerations; the Student Experience; Alumni Engagement; Operations; and Cooper Union’s Role in New York City / Peter Cooper’s Legacy.